Welcome to the Town of Burke, Vermont municipal website. 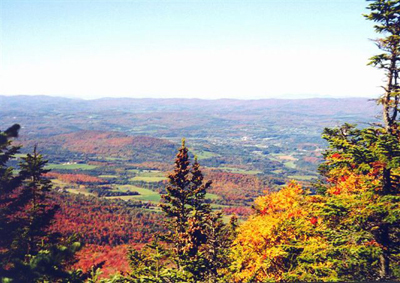 Established in 1782, the Town of Burke has a rich history, a strong sense of community, and an idyllic location, nestled in northern Vermont's Northeast Kingdom. The Town of Burke is a wonderful place to live, visit, or do business. We hope this website will provide the information you seek, but if you need additional assistance, please do not hesitate to call the Burke Town Clerk's Office at (802) 467-3717. Office Hours for the Town Offices are Monday - Friday, 8 am - 4 pm. The Selectboard meets the first Monday of each month at 5:00 p.m. at the Town Offices - 212 School Street, West Burke. If you wish to be put on the agenda, please call the Town Clerk. The Development Review Board (DRB) meets the second Wednesday of each month at 6:00 p.m. at the Town Offices - 212 School Street, West Burke. If you wish to be put on the agenda, please call. The Planning Commission meets the third Tuesday of each month at 6:30 p.m. at the Town Offices - 212 School Street, West Burke. If you wish to be put on the agenda, please call. The Conservation Commission meets the third Wednesday of each month at 6:00 p.m. at the Town Offices - 212 School Street, West Burke. If you wish to be put on the agenda, please call. Town Assessor - Hours for public viewing of records - Monday - Wednesday - 8:00 a.m. - noon or by appointment. Rubbish Removal -The West side of Town (West Burke) is picked up on Tuesdays and the East side of Town (East Burke) is picked up Wednesdays, beginning at 7:00 a.m. Please be sure to have proper stickers visible for the attendants, or they will not pick up your rubbish. Recycling Center Hours - Wednesday, 3:00 p.m. - 6:00 p.m., Thursday, 3:00 p.m.- 6:00 p.m. and Saturday 8:00 a.m. until noon. You may not leave any recyclable materials without an attendant present. Curbside Recycling pick up is every other Thursday. Check with the Town Clerk's Office to see what day is your side of Town and then mark your calendar. Recycle material must be clean and sorted. Bulky Item Drop-Off - Third Saturday of each month from May - September from 8:00 a.m. until Noon, by appointment ONLY. We will not be scheduling this service during the winter months. Call the Town Clerk's Office to request a Bulky Day Certificate. Household Hazardous Waste Days are scheduled three times per year -Look for announcements or call the Town Clerk's Office for additional information. Voter Registration - Same Day Voter Registration went into affect in the State of Vermont in 2017. All persons wishing to participate in Town elections may register to vote on the the VT Secretary of State's "My Voter Page" (mvp.sec.state.vt.us) before the election, at the Town Clerk's Office or at the polling place on the day of that election. Pursuant to Federal Regulations 51.55(e)(k)(6) the Town of Burke does not discriminate on the basis of handicapped status in admission to, or treatment of employment in its programs or activities.